In a special guest blog, Nicholas Orme, emeritus professor of History at Exeter University and an emeritus lay canon of Truro Cathedral, writes about his new book, The History of England’s Cathedrals. The book is published by Impress Books, in paperback and hardback, and has over 90 maps and illustrations. On sale at £20, our supporters can get a 35% discount by visiting http://www.centralbooks.com and typing in the code FRIENDS. Every so often, books appear about England’s cathedrals. Their authors follow a well-trodden path. Essentially they write about the buildings: when they date from, the interesting features they have, and what you can see when you go there. They always have beautiful photography. But there is something missing. The book’s cover depicting John Constable’s 1823 version of Salisbury Cathedral. The standard cathedral book is about beginnings and ends. It explains the cathedral came into being as a building and what it is like now. It does not usually tell you the story in between, or say much about people. What went on in the building in, say, the Middle Ages, or under Elizabeth I, or George III, or Queen Victoria? What would you see if you could go back, and whom would you see as well? Who would be leading the worship? Who would be coming in, and why would they do so? To pray, to listen to music, to look around, or even to steal? All these things have happened in the past. A couple of years ago I set out to write a history that would cover those kinds of questions. It was only when I finished it that I realised it had never been done before. The reason is, perhaps, that you need to be rather stolid to try to tackle a topic that runs for 1700 years, from Roman Britain to the present day! But having done it, I am glad that I did. It revealed things about cathedrals that you never discover by studying them one by one, or by dealing only with their architecture. Let me show you what I mean by taking you back in time, very briefly, to show what cathedrals have been like at various stages of their history. It is the early 1400s. We visit what we think of as ‘the church’ or ‘the minster’ or, in London, ‘Paul’s’. We cannot call it the cathedral, for the word does not exist. That is because as well as cathedrals there are great monasteries, which look much the same. All that marks a cathedral is a bishop’s throne and some bishops’ tombs. We enter the church through the nave. In front of us is a great stone screen – the pulpitum – shutting off the choir from view. We can listen to the services inside it but not take part in them. There are side altars, all screened off, where Masses are said, and images that we can venerate. There are probably two dozen statues of Christ, Mary, and various saints. We can kneel before them, we can walk around, but there is hardly any seating. We experience religion in a spiritual rather than an intellectual way. The services are in Latin. If we say prayers ourselves, they are in Latin too: the Paternoster, the Ave Maria, and the Creed. The Ethelred Gate. Norwich Cathedral. Now let us move on 150 years to the 1560s. The Reformation has happened. But the building is still here – amazingly so. All the monasteries have disappeared. Cathedrals might have gone the same way, but Henry VIII liked them. He protected them and their lands, and he added five more to their number. People now think of them as special places. The word ‘cathedral’ comes into use for this reason. Inside, there is still a pulpitum and a choir, but all the images have gone. Some have been removed; others have been smashed and left to warn us against superstition. We can no longer do any private devotions because there is nothing to venerate. There are only morning and evening services in the choir, with sermons on Sundays, all now in English. The building is emptier. It has lost the images, side altars, and chapels. The vacant spaces are being filled with tombs of the nobility and gentry. This shows us that the Church is now under the control of the crown and the powerful laity. Another 150 years or so now pass, and we are in the eighteenth century. This is an age that takes its standards from Greece and Rome: in architecture, art, and literature. The medieval Gothic building seems an anachronism. We would prefer it if our cathedral was like St Paul’s, but there is no money to replace it, so we have made the best of a bad job. The choir, where services happen, has been made as classical as possible. There are square horse-box stalls to sit in. The holy table is neatly railed in. There is modern painted glass in the windows and sometimes painted curtains on the east wall. An elegant organ case sits on the pulpitum. If you come for a Sunday service, you walk through a cold empty nave. When you reach the choir, you are in the company of well-dressed middle-class people from the cathedral city. Make sure that you bring a shilling, or you will not get a seat. The stalls are locked, and you must tip the verger to open one. Rochester Cathedral: rebuilt at the time of the Conquest. The nave and choir have changed again. The great stone pulpitum has often been replaced by an open-work screen designed by Gilbert Scott. There is seating in the nave for the first time, and the nave is no longer cold and dim because there are gas lights and huge Gurney stoves to give warmth. This allows more people to watch the worship in the choir, and in the evenings there are nave services for the ‘artisan class’ who would not fit well with the Sunday morning and afternoon congregations. Cathedrals are trying to reach out to the population, more than they have done in the past. Another century and half pass, and we are in the present day. If we know about cathedral history, we can see how things have changed in the twentieth century. The choir is still used, but it no longer houses a sung service of matins except perhaps on Sundays. That is because the adult choir members are no longer full-time cathedral employees, and the choristers cannot miss school for the purpose. We have kept sung evensong, however, and this allows the Anglican tradition of prayer and music to be maintained. Otherwise, the main area for services is now the nave, to house a larger congregation. Additional stalls are provided there for the clergy and the choir, and since the 1970’s there has been a nave altar because the main Sunday service is now celebrating the Eucharist. The Vicars’ Gate, Wells Cathedral, demonstrating their importance as a property owning group. Ornaments which were ruled out after the Reformation and were still controversial in Victorian times have come back, and cause no surprise. Candles on altars. Vestments for clergy. Images of saints and even Orthodox icons. The furnishings and services remind us that we live in an age of equality. 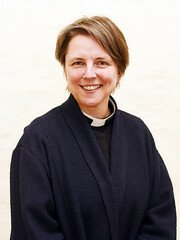 There are now women deans and canons, and most cathedrals have girl choristers – sharing with the boys, and allowing them to spend more time at school. Lay people take collections, bring up offerings, and read lessons (something hardly imaginable in 1870). Nobody has a personal seat; you sit where you like. All around us there are signs of how cathedrals are reaching out to society. Chapels are dedicated to social work, the Mothers’ Union, and the armed services. Display boards feature cathedral work, or that of a charity, or an African diocese. And after the main Sunday service, there are refreshments. The congregation mingles more equally than it could ever have done in the past. To go back in this way is valuable. It reminds us that cathedrals are not only buildings but communities. They exist, and always have done, because of people: those who run them and those who visit them. Because they are communities, they change as society changes. The religion of the Middle Ages changed drastically at the Reformation, and more gradually in the 18th, 19th, and 20th centuries. Cathedrals have done well in adapting to change. Through studying their history, we can appreciate not only what they are like now, but what they were like in the past; what they once meant to people, and how they were cherished. Our ancestors passed them down to us. It is an awesome inheritance, but history gives us confidence that problems can be overcome, change can be beneficial, and the wonderful legacy we have inherited can be passed on to be precious to those who come after us. Looking forward to The Big Update? We will, as always, be attending the Historic Religious Building Alliance’s The BIG UPDATE! This year looks as exciting and informative as previous years, offering the chance to keep up to date with what’s happening to secure the future of historic religious buildings, and to meet others with similar interests and concerns. All are welcome. There will be short, informative talks with space for questions and discussion, and time to network. * Ingrid Greenhow, talking about the ‘Taking Stock’ programme for Quaker Meeting Houses – a survey of these buildings to obtain a strategic overview of their importance and future opportunities. * John Winton, currently National Director of Churches Tourism Network Wales. This is soon to develop into Sanctaidd, a new organisation which will provide comprehensive support to all places of worship in Wales. The cost, including a full hot lunch and all refreshments, is £44.00 per person. Discounts are available to paid up members (see the booking form). Places are limited; paid up members receive priority. Please do not hesitate to contact us with any queries. 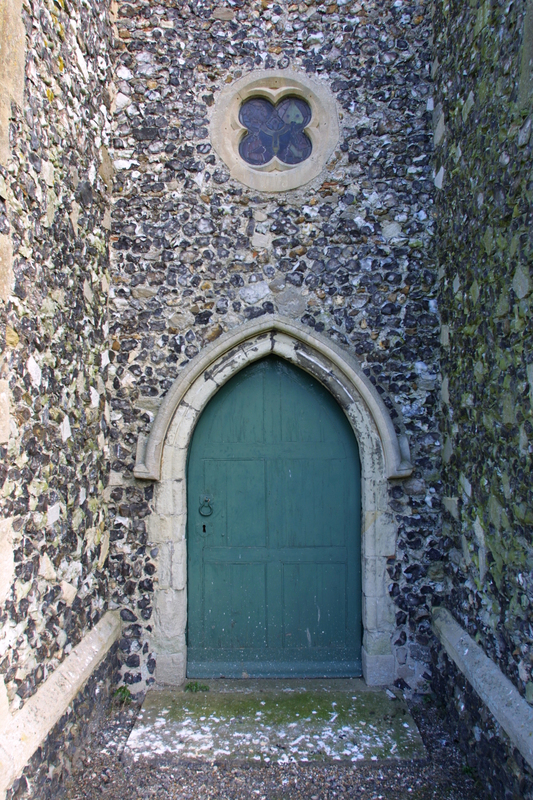 At the National Churches Trust we sometimes hear from people who find it difficult to find information about when a church is open for visitors. 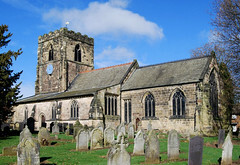 In writing an article about a number of historic churches, I have recently experienced for myself just how difficult it is to find visitor information online about churches. I won’t name the individual churches concerned, but one is certainly a national landmark and the other three are of considerable historic interest. The national landmark church has an impressive website. But although there was plenty of information about times of services, rightly so for a major place of worship, there was no information provided about when the church opened or closed. A potential visitor is left assuming that the church may be open from 9 -5 seven days a week. But perhaps it is from 8 – 6, and what if times are different in winter or there is one day of the week when the church is closed? There is, of course, the option of phoning the church, but why is basic information on opening times not provided online? So, when is your church open? For the other more minor churches, two did not have their own websites. That is of course excusable, as websites do take time to manage and keep up to date. As these were Church of England churches, information was available from the CofE ‘A Church Near You’ website. But this website mainly provides information for church-goers as opposed to church visitors and therefore lists service times and not opening hours. Maps on this site show the location of churches. However, address and postcode information is hard to find as it is provided in a tiny font size at the bottom of a page – almost looking like a footer it is therefore easy to miss. A useful guide to one of these churches is provided by a website about historic churches, but again there is no information on when this particular church is open. Searching for the fourth church online produced a full page of results. Administrative information was provided on the local diocesan website, together with a useful history of the parish. But again, although service times were listed, there was no information provided on opening times for church crawlers. An even better page for this church was provided by a local history society. This included a list of transport options for those wanting to travel by car, bus or train. The page even suggested a walk which including the church and other local attractions and also suggested ideas of places to go for refreshments. But, perhaps not surprisingly, there was no information about when the church might be open. Perhaps I am expecting too much. Churches are of course places of worship, and service times may well be the most important information which they should provide online. 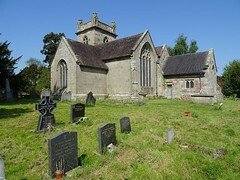 But increasing numbers of people are interested in discovering the history, art and architecture of churches. Yes, some of these will be happy to travel blind in the hope that a church will be open. But there are many others who will be put off visiting a church if they can’t find basic details about opening times and travel information.